Came across this earlier; something a little different and very satisfying to watch. Superb model, nicely shot & edited video in a great setting. Just out of interest have you any idea of the location ? I have a Leprechaun "alledged " must have had it 40 years or so and it looks nothing like that one ! Not as nice either ,( its wings are on a pylon ) But if anybody wanted it ,its free but needs collecting .and the fuz is perfect nylon covered but the wings and tail need much TLC . The original Laprechaun did have the wings on a Pylon. The fuselage was a different shape and the tailplane was almosst on top of gthe fin. I would call that model very much "Based on" Leprechaun or even "Inspired by"
Here he is flying his West Wings Amethyst glider. Thanks Steve , graceful and exciting ... John dancing at the top of the hill ...it looks dangerous to me . at one time I had 2, mainly cos nobody wanted them,! they are /were a bit big for times gone by ! I did think at one time of putting a Merco 61 on the pylon but there was not enough clearance for the prop ! Peter, John Woodfield says as much in answer to one of the queries posted on Youtube. The vid was shot at Perranporth, Cornwall by John's long suffering and very talented wife.﻿ She does the editing too. Many years ago a clubmate, who was in the model trade, turned up with a Leprechaun at our club field. He'd acquired it ready made then modified it to take a Merco 49 bolted to the nose. At the time I was the only glider flyer in the club so he asked me to do the test flying. He made several abortive attempts to hand launch the model but the engine cut either as he launched it or as he raised the nose to launch it. He opened the needle to richen the mixture before each new attempt. It turned out that he'd installed the tank under the wing on the CG position to avoid changes in trim as the tank emptied ! With a bit of field surgery we managed to re-position the tank somewhere in front of the wing LE but still a fair distance back. Then by using the tried & tested method of tuning the engine with the nose raised we managed to get it running reliably albeit with a very rich setting. I dunno what it weighed but it was heavy, had a slow climb & was sluggish on the controls - it flew like a barge. All in all it was an unpleasant handling model. I believe the owner later removed the motor & flew it as a slope soarer but lost it downwind somewhere on a Scottish moor. Thanks for the info, KiwiKid. Somehow I had a feeling it was in Cornwall, which is just about as far away from my location as is possible & still be in England. John's wife is definitely very talented in making & editing the videos. Yes, I have heard of Merco 61 powered version. The blurb in the plans hand book lalimed more flights over 15 minutes than under. As a glider of course. My Easter Eagle Senior is about the same size but a very civilised weight and flies on a small electric motor. There is a nice thread on RCGroups, started by Harry Pickles, about building the Leprechaun. I hate long walks ! Put a nice biggish electric motor on it and a folding prop. Is the "problem" with a very stable glider, flying it in a nice and gentle wind no problem, but if it's blowing! I have a 2 Chanel Precedent hi fly that has been in the attic for 30 years. Too much dihederal, too windy, no ailerons? Suggestions please, I would like to try it again one day. I don't think that these old gliders like the Leprechaun are just 'too stable', more a case that they are designed to fly slowly in thermal lift. They have an under-cambered and thick wing section which produces masses of lift but also drag. They are very lightly loaded models so they won't penetrate in a blow. In John Woodfield's videos he is flying his charming models in light, smooth airs where they excel. Very relaxing but relaxing can turn into boring after a while if you are not careful. If you want to fly in a gale get a model designed to do that. 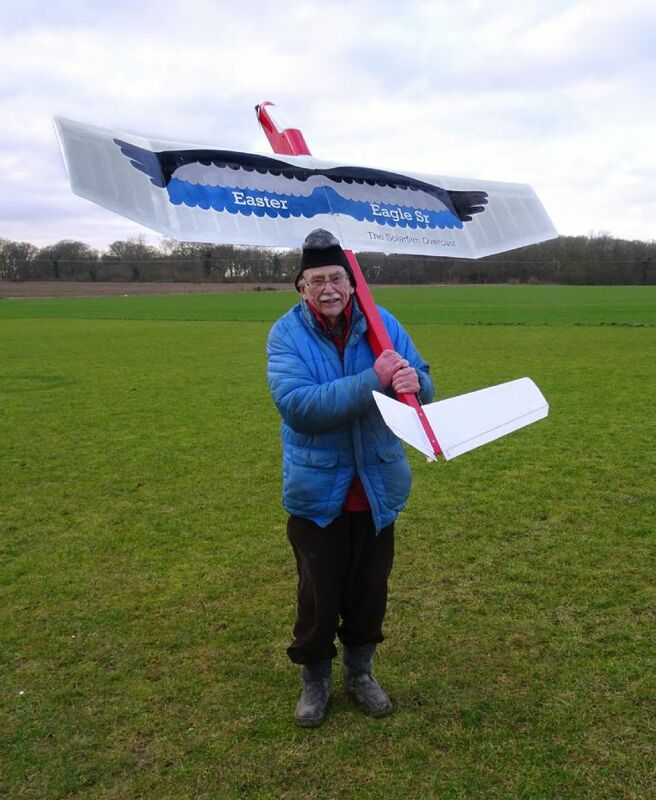 I have no personal experience of the President Hi Fly but I suspect that it is has a lightly loaded flat bottomed wing section, not ideal for tearing up and down the slope for which you really need ailerons for positive control. 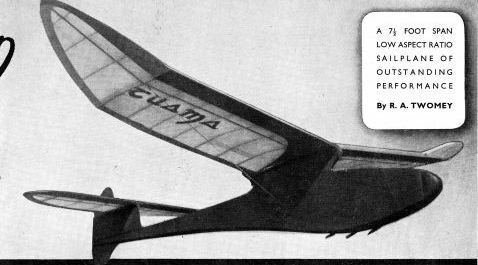 I don't wish to be prescriptive but a thinner semi-symetrical wing section, small frontal area for low drag and a higher wing loading for penetration, will produce a better flying model for most slope conditions. I still think that you should get your Hi Fly out of the attack and give it a go again Richard, it is just gathering dust up there! I think it is a case of horses for courses when it comes to slopin' as the conditions will usually change markedly during the day with the wind usually picking up in the afternoon so it is fun to have a light wind model for some early morning sessions, but you need to know it's abilities and limitations. 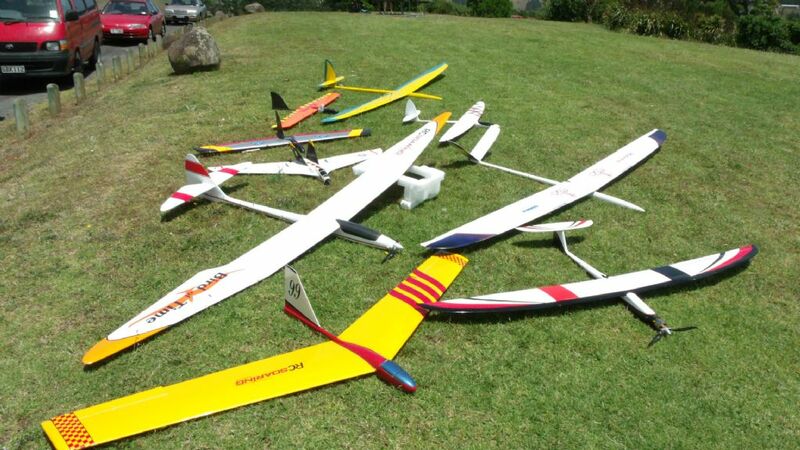 I often haul along 8 or 9 models to the slope and work through them as the conditions change. I love models like the Leprechaun and Sinbad as they have a lot of character, but do have their limitations. 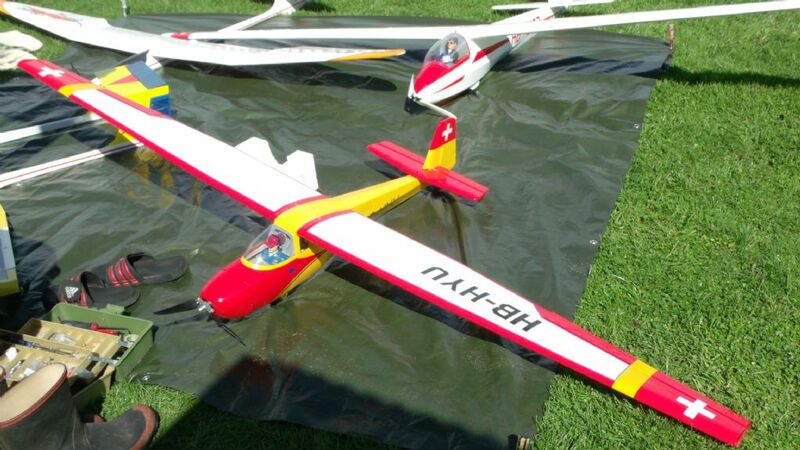 There are some similarly shaped "updated" kits around with reduced dihedral and ailerons that are also a lot of fun. 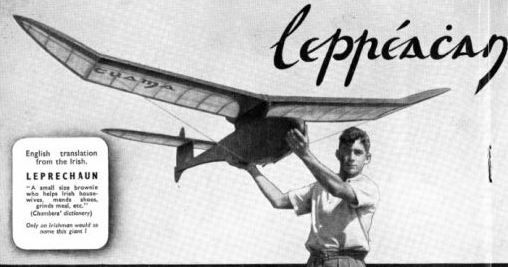 One I like (available from Pichler) is the MotorSpatz which is a 2.5m powered model that performs well as a sloper and parkflyer. Here's a vid of mine doing a bit of slopin' in 12 kts - not a patch on the house of Woodfield's masterpiece I'm afraid as I was flying alone, so it is a "nutcam" effort. The 'Easter Eagle' looks so good I went out and bought the August issue just to get the plan...... very nice design, Peter.